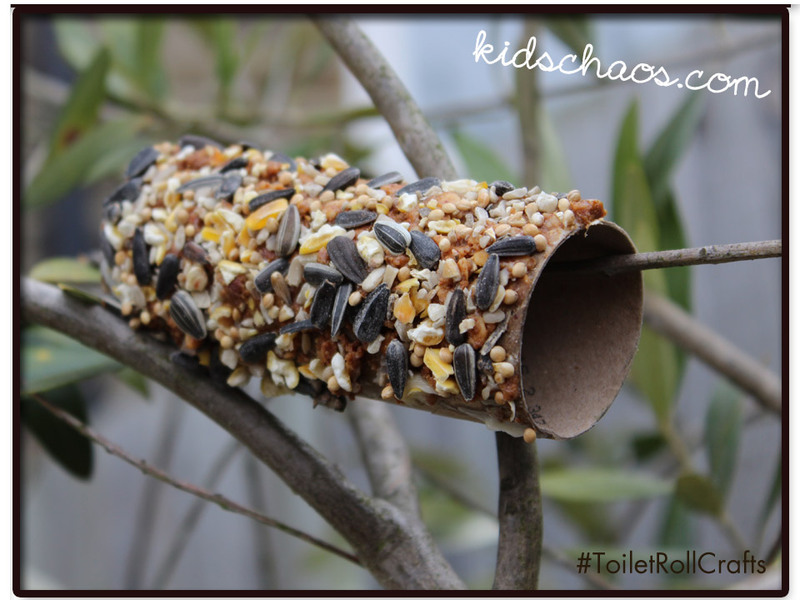 The one thing I really struggle to put into the recycling bin, is the toilet roll tubes, I can always think there is SOMETHING we can make with them, whether it’s planting seedlings in them, or making these lovely bird seed feeders. 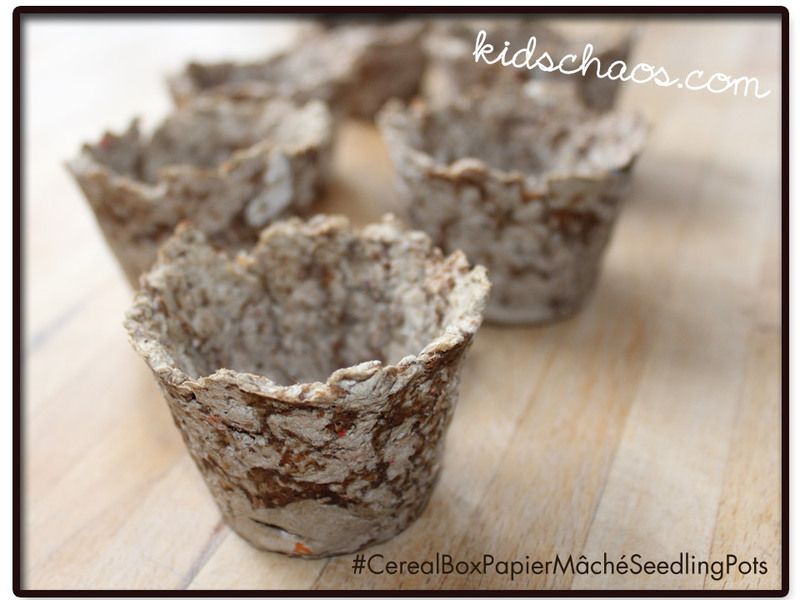 They are so easy to make, and the kids are tickled to be using peanut butter, to spread onto the loo roll tubes, cra-azy eh?! So simple to do… basically, spread the peanut butter on the toilet roll tube, and sprinkle the bird seeds over the tube, pushing the seeds onto the peanut butter ‘glue’. We do find some peanut butter a little dry, so – do as you do with toast! – paste a little layer of butter on to the tube before you spread the peanut butter onto the tube. Then, slip the tube onto a thin branch, preferably in view of the window. We love eating our breakfast and watching the birds eat theirs – we have a favourite chubby blackbird in the garden, will try to get a photo of the bird seed feeder in action! 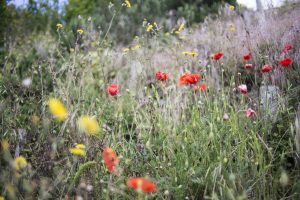 To see how our garden grows, follow our Gardening With Kids posts here. and how to make an indoor watering can here! To see me demonstrating the making of said bird seed feeder, click the youtube link, watch the video (also embedded below) and be inspired. 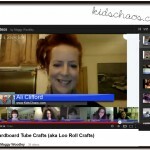 – I joined the regular Google+ hangouts hosted by Maggy at Red Ted Art with some other fabulous creatives – Chris at Thinly Spread, Liz at Me and My Shadow Owls, Anthea’s Torus at ZingZing Tree, and Rebecca from herecomethegirlsblog. Cat in the Hat craft. 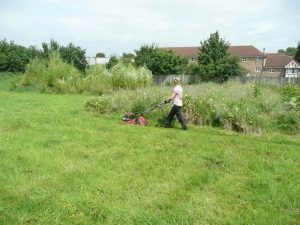 Community gardener and founder of yourspace.sutton Kevin Plicio runs local community garden nursery Seears Park Nursery in Sutton. This nursery runs on pure volunteer manpower and community spirit, running training courses and therapeutic activities in a calming and peaceful environment. 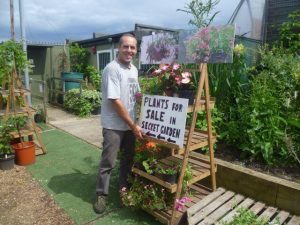 He has been running the beautiful non-profit nursery for almost six years, transforming it from a run-down nursery to a social and stunning community hub which has just recently been opened to the public. As his daughter, Hannah, I’ve grown up around the transformation of the park, seeing it go from overgrown and slightly wild, to open space and inviting. Perfect for family days out and picnics, the nursery offers scenic and photogenic open areas, free for the public to utilise. Q- So, tell us about what made you want to run a community project? Well, the idea originally stemmed from me working at other projects, but these projects were all tailored to one specific group of people, or had one specific service, and I wanted to do something more socially integrating and open to all users, regardless of their background, age, or ability. Q- What is there to see? Honestly, there’s so much! We have this really great pond that’s just teeming with life, frogs, fish, newts, and even in the evening we get the occasional duck family coming to stay – it’s such a sight! We also have vegetable patches, some art display inside the main classroom from a local artist Santiago Plicio, the polytunnels have a great plant selection, including a great cactus area. We’re also in the process of making smaller gardens as part of the garden nursery, where 6 out of the 16 planned are complete. We also have this really stunning willow circle, which is just beautiful. 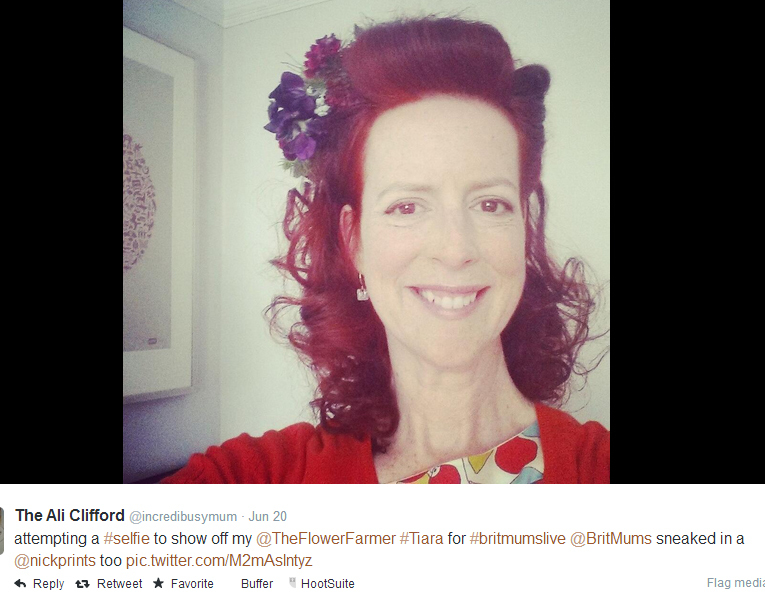 Q- Tell us about your volunteers, and who helps run the nursery. 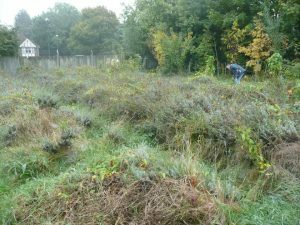 We have quite a large group of volunteers here at the nursery, and without them, there would be no way that the place could be running. Some people volunteer for a month, and some have been volunteering for years, and we appreciate every bit of help we get. Their generosity and time is something I’m always going to be so grateful for. Q- You’ve just opened to the public for the first time in almost six years, how does that feel? It feels amazing, we’ve been getting this place ready for the public for so long and now it feels as if our work is finally paid off, and we can do what we’ve always set out to do, create a community project that everyone can benefit for. We’ve been running training courses and school placements for years which is so amazing, but now we can finally make it open to everyone, which was always the plan. We now run a plant sale every Saturday from 10:00am until 4:00pm, and the nursery is otherwise open Monday-Thursday from 9:30 until 5:30. Q- Got any last words or comments that you want everyone to know? I’d just love to see you there! Bring your friends, family, dogs, come and experience and enjoy the nursery, see what’s here, and if you want to contribute in any way then we’d love to hear from you too! 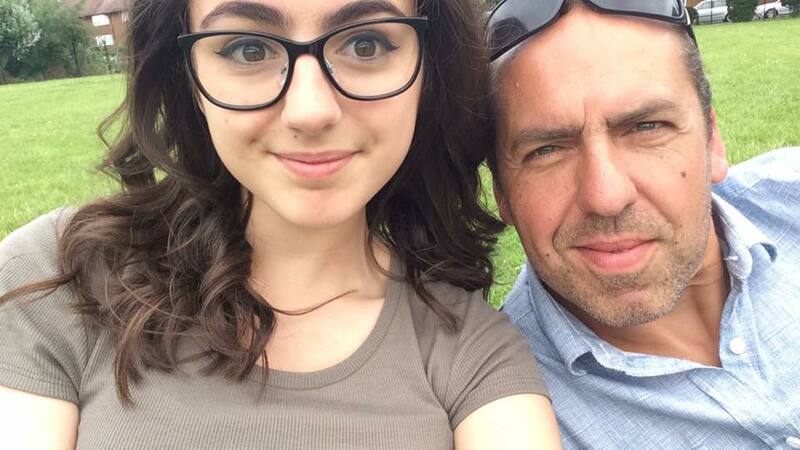 Note from Ali – Thank you so much, Hannah, for introducing me to your dad’s amazing community project. 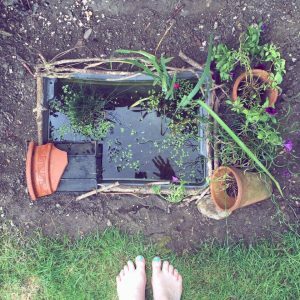 Here’s a picture of a pond that my 13-year-old son made, with the addition of the Junctus that he bought from the Nursery! 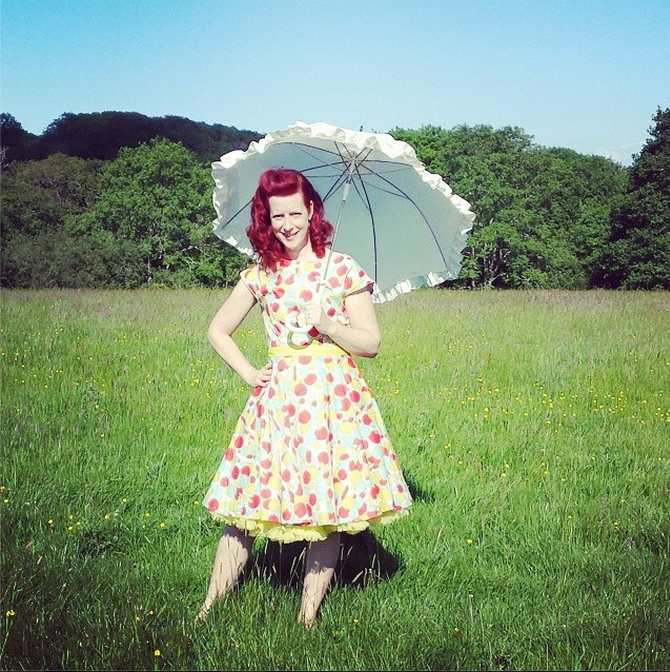 It’s been a lovely colourful summer, people have been grumbling about the on-off weather, rainy, then sunny, then rainy again, but it’s meant we have a lot of green in the fields (and our back garden), picnics in the park (sometimes under umbrellas!) and the multi-coloured fruit in the hedgerows have been in abundance! The joy of finding all of this free fruit has been a delight, it’s brought smiles to our faces and with the winter months approaching, and summer picnics a distant memory, we’re so glad our Ocean Spray cranberry cartons do much the same, adding colour through the refreshing taste and by delighting us throughout the year (the boys just love them in their school packed lunches now the Autumn term has started). 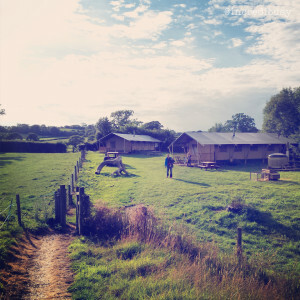 We’ve spent a lovely staycation weekend down in Devon too – we seem to have given up camping this year (although the tent WAS out earlier in the summer for a night under canvas with 10yo) As a family, we tried out a bit of glamping, and are totally converted – it’s the way forward, the kids loved picking the red apples in their orchard, chasing after the free range chickens, and feeding the black and white Friesian calves, and we loved waking up to such a fabulous view of the green fields, and the wispy white clouds and blue skies…aaahhhh. 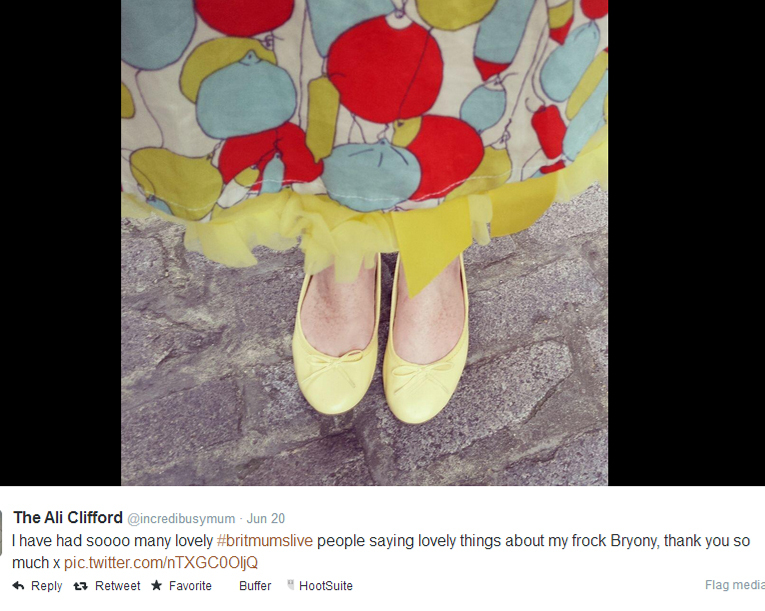 I’m working with BritMums and Ocean Spray highlighting the everyday moments of colour that give each of us a little lift, just like Ocean Spray adds colour to our day and delights us all year round. I have been compensated for my time. All editorial and opinions are my own. We have always been big ‘bird’ fans (no, not BIGBird, as in the Sesame Street character, although that has always quite amused…) – As a child we fed the birds in the garden at home, with various bird houses, structures and fat and seed balls, watching to see if the naughty squirrels had somehow managed to nab the grub before the bluetits could get to it! Scoop out the content of the orange (we have a smoothie every day, so we added the orange to that). 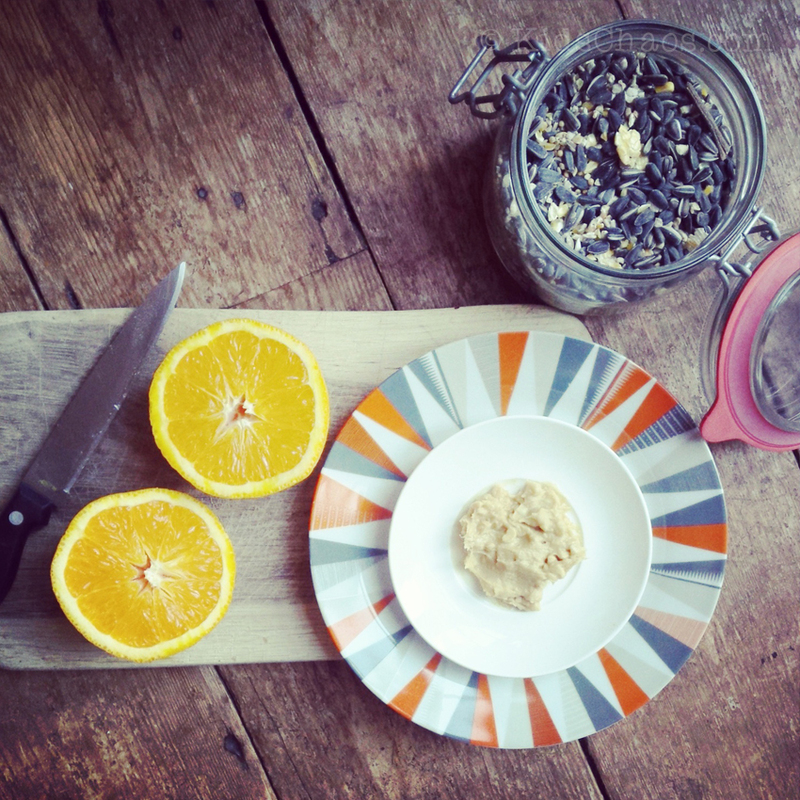 Spread some peanut butter into the orange skin, and add the seeds. 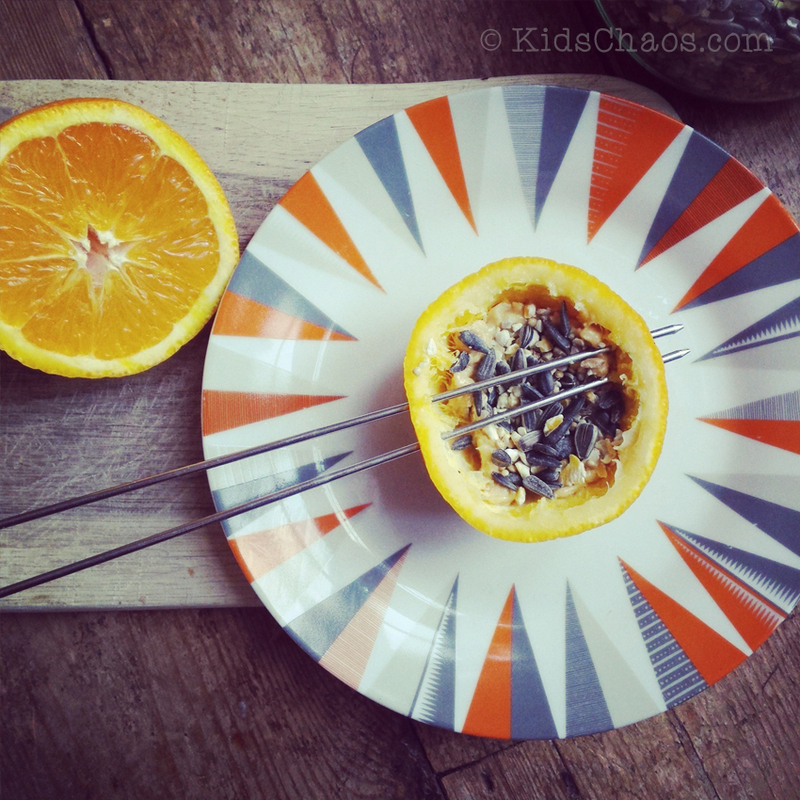 Pierce holes in the side of the orange skin ‘cup’ – actually do this BEFORE you add the peanut butter and seeds! Thread string, and hang on tree..
We’ve also done this with a toilet roll – can you believe! 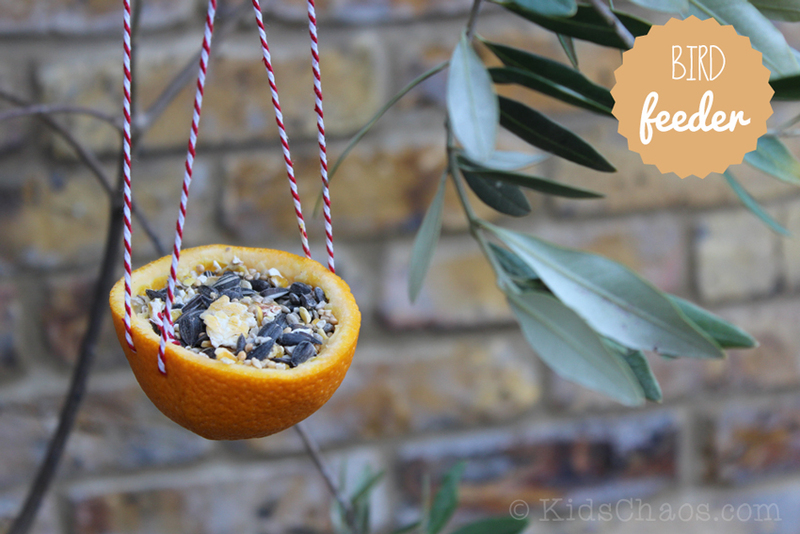 Click here to read more and here for more fab bird feeder ideas. Ali also blogs over on Incredibusy.com and is a new lover of Instagram too… pop over and say hello! 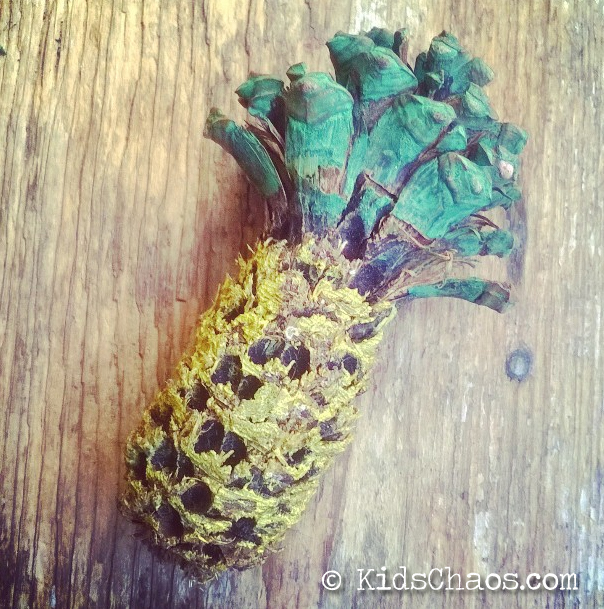 A quick blog post to share with you the wonder that is camping… and the sort of crafts you can do whilst you are stuck in a Pine Forest in #FrenchFrance and the boy’s pineapple pinecone. We go on holiday every year with some lovely family friends, and as the kids get older, they get more and more feral, and tend to take themselves off in packs, doing their own thing, whether it comes to popping to the camp playground to make new friends, or getting crafty with the paints and pencils we still take with us every year… So it was with much delight that I found this Pine Cone Pineapple creation by our eldest, he liked it so much he posted it onto his new ‘now I am going into Year 7 please may I have an Instagram account?’ instagram feed…. It was a very visually inspiring place it has to be said… with the largest sand dunes in the World on our doorstep in a pine forest at the foot of the Dune de Pyla. 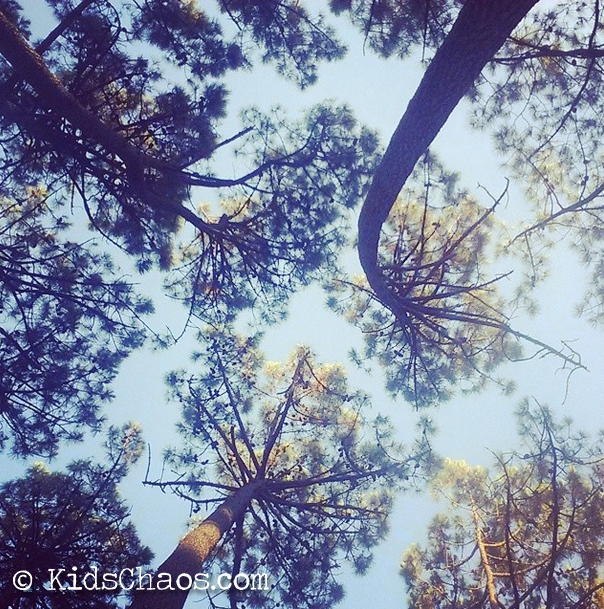 You just had to look UP and the view was pretty awesome too… Look at those leaves! 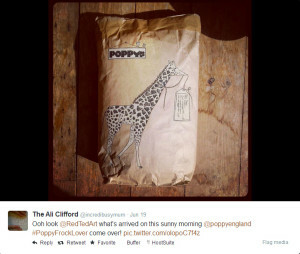 If you would like your own Palava.co frock at 15% OFF, use the code BOATSANDFLOATS15 before the 12th July 2014… And failing that, for a chance to win a limited edition 2014 Boats Print reversible washbag, follow Poppy England on twitter and tweet I’m in it to win it with @poppyengland #poppyfrocklover. 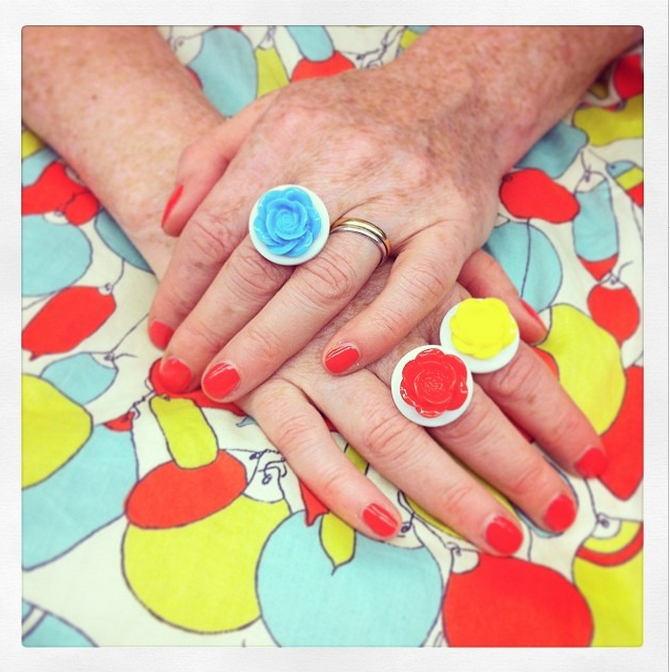 Loved my three fabulous rings from another #PoppyFrockLover TreasuredBouquets – they just HAPPENED to coordinate perfectly! 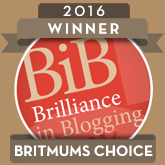 🙂 For more thoughts on Britmums Live click here. This was a quick ‘rustle’ last night, as we had a big bag of leeks, and all I could think of was Leeks in Cheese Sauce… not very original, 11yo doesn’t like cheese (unless it’s grilled halloumi! 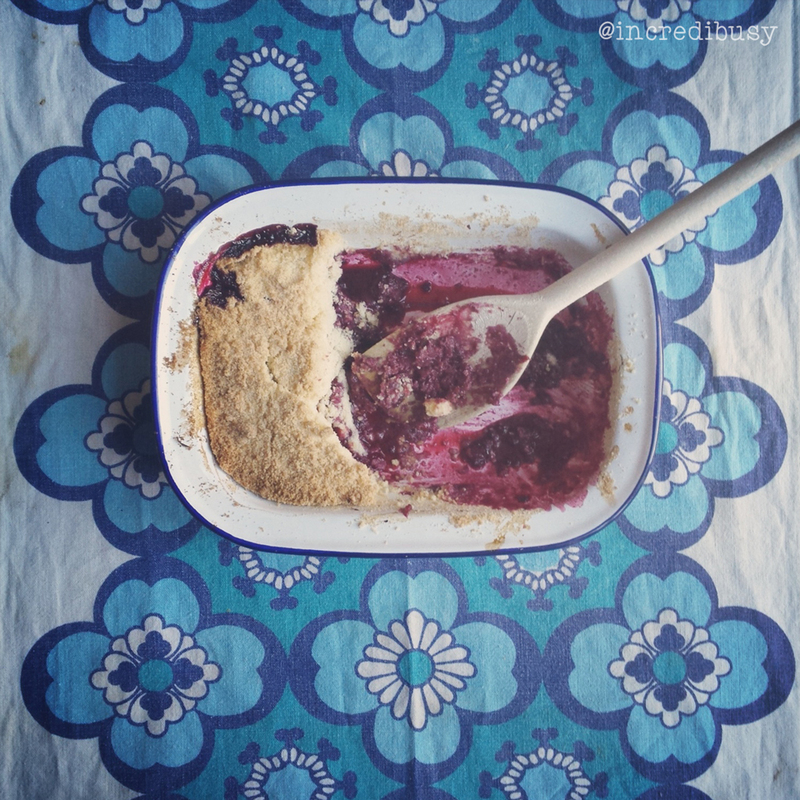 ), and he wanted to make something that looked ‘restauranty’! 1) Chop the leeks in half, and then slice into quarters length ways, to create ribbons. 2) Break up a stock cube into a large deep frying pan, and pour in the 500ml boiling water, add the leeks and simmer for five minutes. 4) As the leeks soften add the chickpeas to the pan and stir through to heat them. 5) Meanwhile using a ridged frying pan, grill the halloumi (we like the grill stripes!) 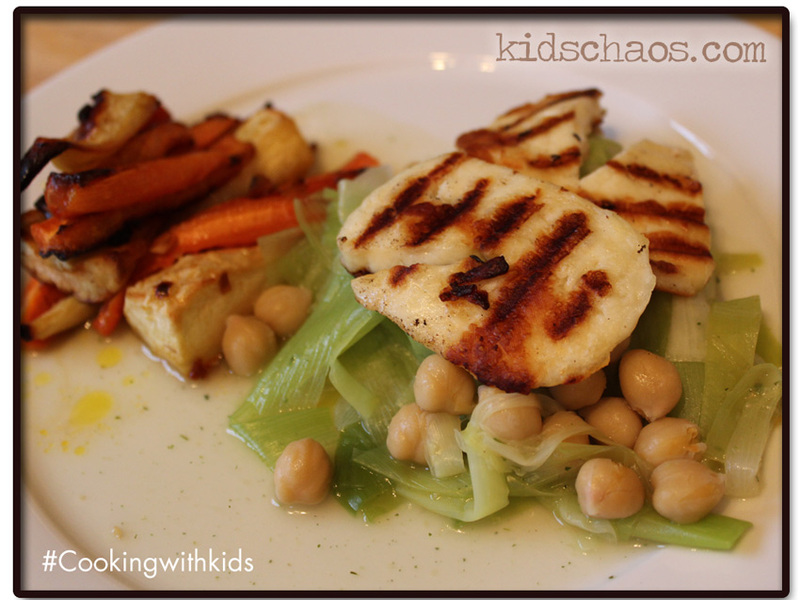 and start plating up the leeks and chickpeas, spoon over the dressing, and then top with the halloumi cheese – very ‘restauranty’ don’t you think?! Serve with honey and garlic roasted carrots and parsnips – delicious! Another favourite for 11yo is his Salmon with mushrooms and pak choi, click here to read more. You may also like Chris Mosler’s Thinly Spread’s Rich Leek Tart. We’ll be trying that one for sure! Who would have thought we would be making a fairy tale craft tonight – Fridays are usually our ‘film night’ after a full-on week at school. 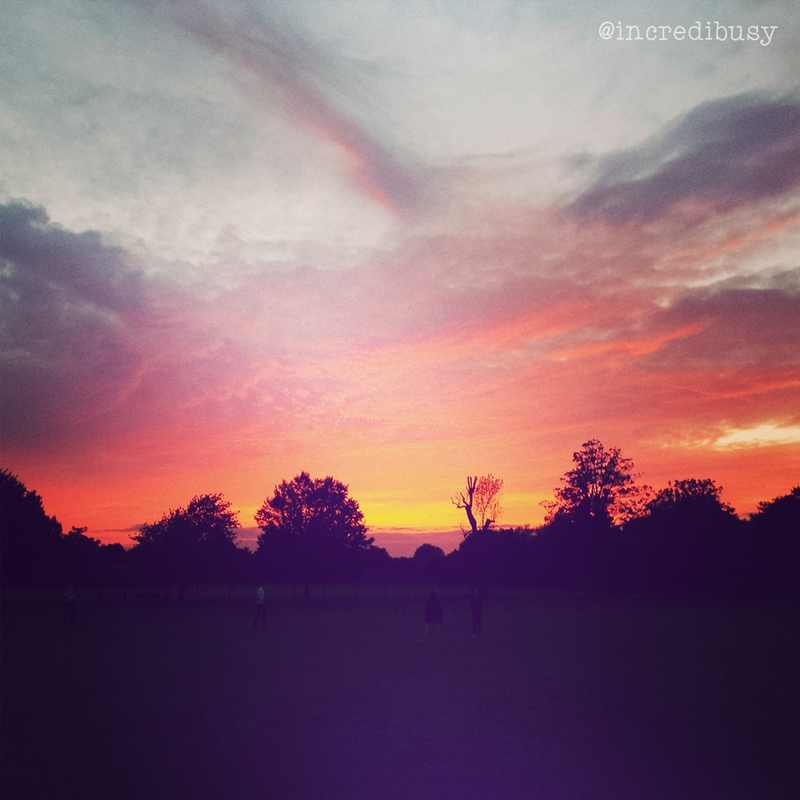 HOWEVER, I was taken to one side by my son’s teacher on Thursday to discuss his behaviour – and we between us to set a reward system in place… sigh, just when I thought we were getting somewhere! So, the plan is, a thumbs up from the teacher = one reward point. 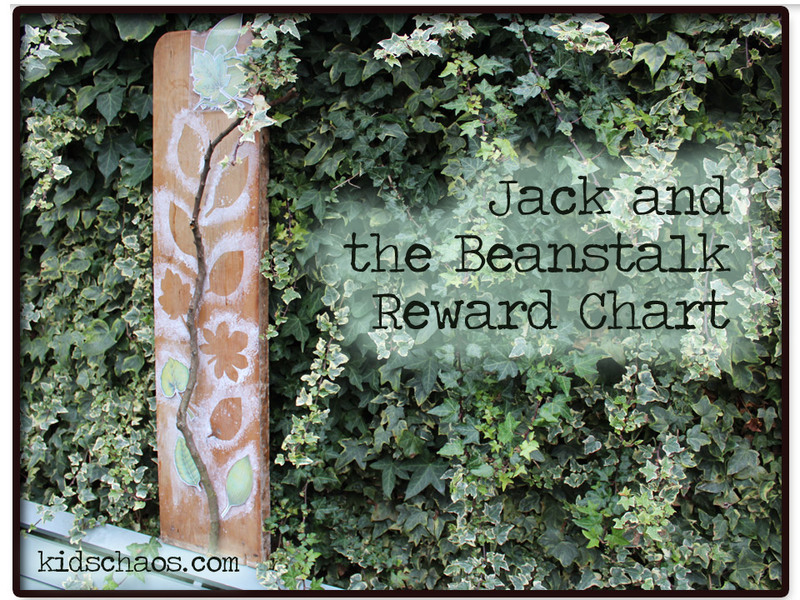 And so the Jack and the Beanstalk fairytale craft reward chart was invented. And he is really engaged with it so far – we found an old wooden shelf I’d been hoarding since our kitchen cupboard makeovers (11yo wanted me to write that if you don’t have a piece of board, a sheet of paper or card will do), and found a wiggly stick on the way home from school – and got busy!. 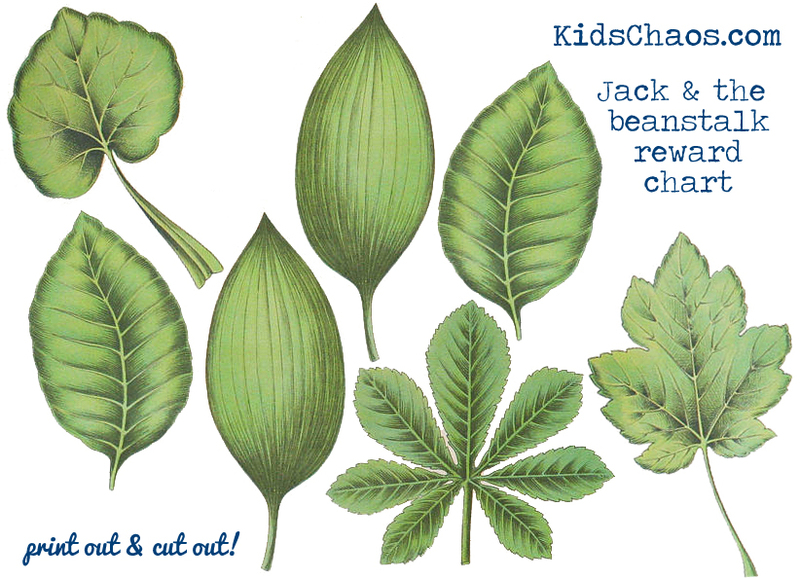 To get started, cut out your leaves – If you use the FREE printable here – gently stick the sheet to another blank A4 sheet with a low tack magic tape, and cut around the leaves. This gives you a printed leaf, and a plain white leaf. Place the plain white leaves in position on the board, and using them as stencils, put a little paint on a scrunched up piece of kitchen paper, and dab around the edge of the paper leaf to reveal a leaf shape. Glue the branch of the fairy tale craft beanstalk onto your board (oh yes, I DID use a glue gun), and pop the green leaves somewhere safe. We used a CD sleeve, which we glued to the top of the board to make a pocket to hold the leaves. And rewarded the boy with his first ‘thumbs up’ leaf at the foot of the beanstalk – here’s to a completed beanstalk for Jack to climb up by the end of the week… Also on the blog today – how to make the Snow White Mirror. 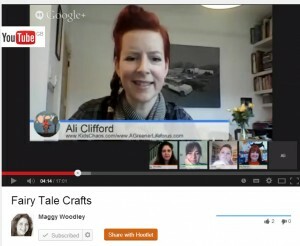 If you’d like to see the finished fairy tale craft article, click the youtube link here, I got together with Missie Lizzie who talked magic beans, Anthea with her elves’ shoes, Kelly talked Rapunzel, and Maggy at Red Ted Art (talking three little pigs) who hosted a Fairy Tale Craft google+ hangout. 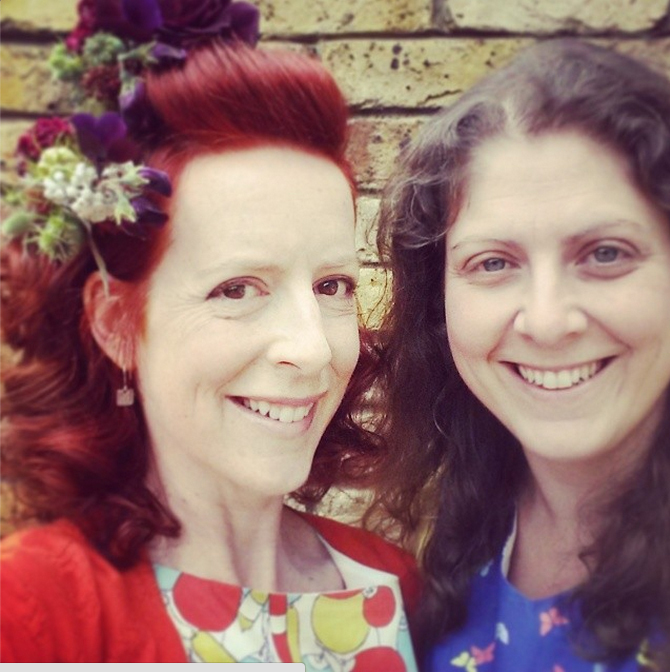 Oh, and I’m on twitter and Instagram is my new favourite thing, I also blog at aGreenerLifeforus.com, and Erm, and funnily enough on Facebook and Pinterest! Pop over to say hello x Like it? Pin it! 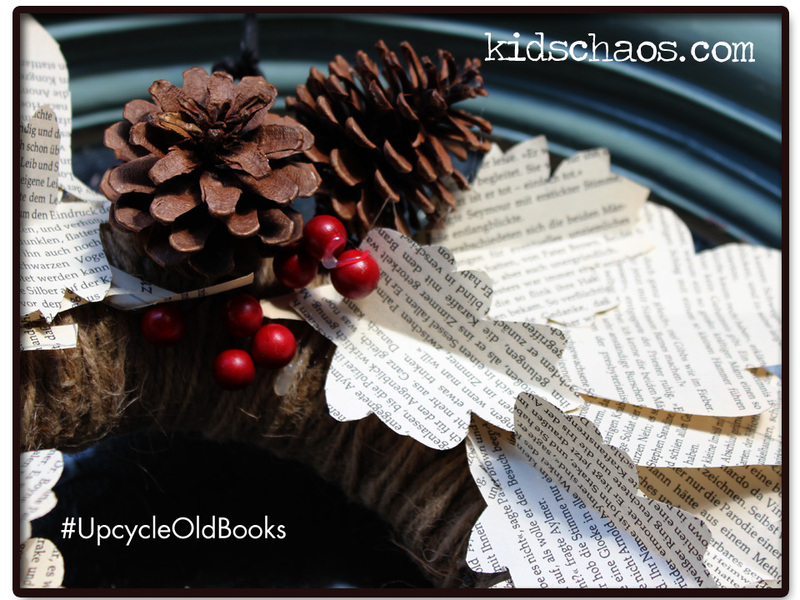 Ever the recycle queen of green, I LOVED working with the kids on this one… and a great way to use up old unloved books. This is very easy to make, the boys’ now have quite a short attention-span for crafting, yet really rose to the challenge – creating templates using REAL Autumn leaves of different shapes which we cut up, several pages at a time for speed, from the pages of this aged book – folding a crease down the centre of the “leaves” to create a more realistic 3Dimensional effect. We had in preparation, wrapped some lovely string around a shop-bought wreath, however, we have previously used a cereal box to good effect. 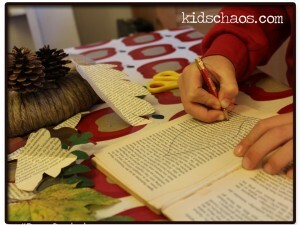 9yo thought to add the pine cones – a bit of mixed medium eh?! 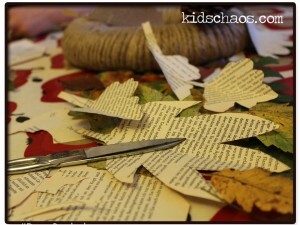 We glued the leaves on with our trusty glue gun, overlapping and building as we went along…. 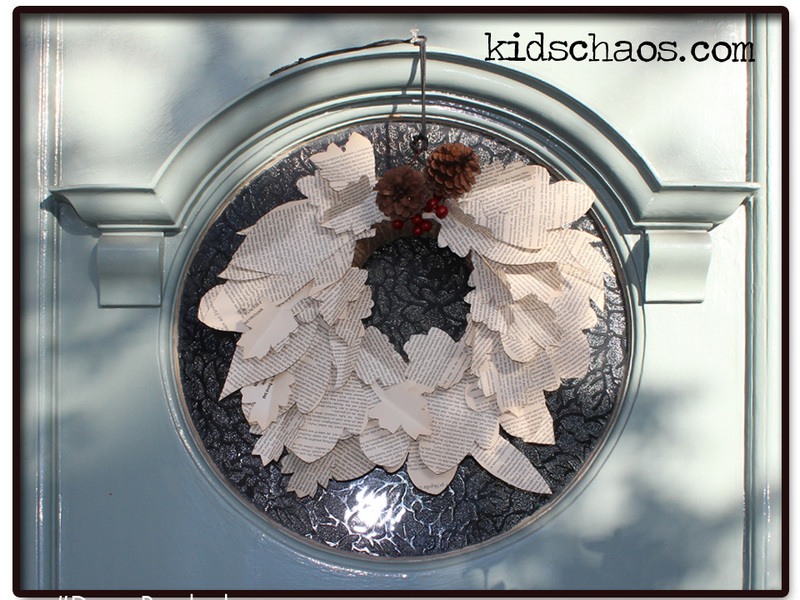 Our front door is quite sheltered, so it should be OK for Christmas – looks nice eh? Equally, the ‘leaf wreath’ would look lovely on an interior door during the holiday period, and we’ll be taking this one down to Granny’s care home for the door to her room this year. 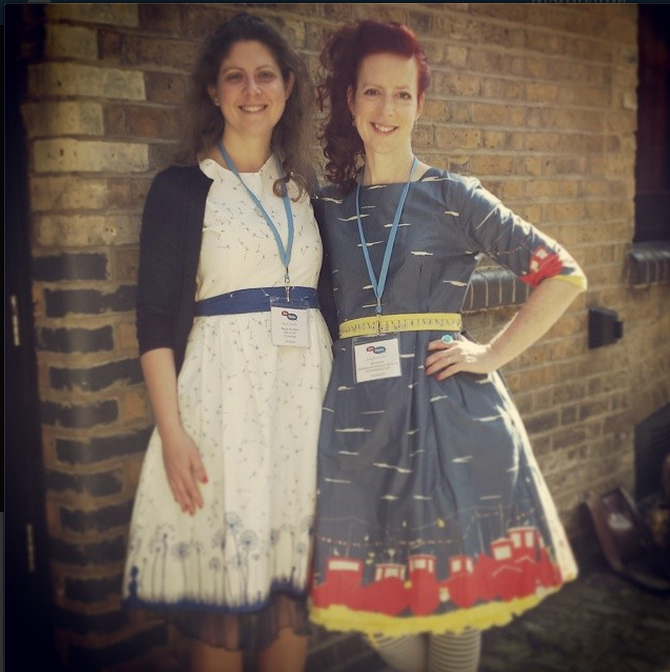 Want to see me talking about this project and other leaf crafts (including our hammered leaf printing and a bubble wrap leaf lamination inspired by Lizzie’s fabulous post)… Click the link and photo left, to watch via youtube…. 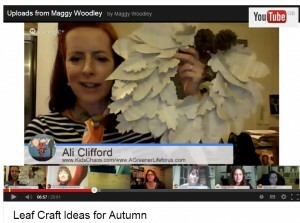 Maggy Woodley from Red Ted Art hosted a fabulous “Leaf Craft Ideas’ on Google+. 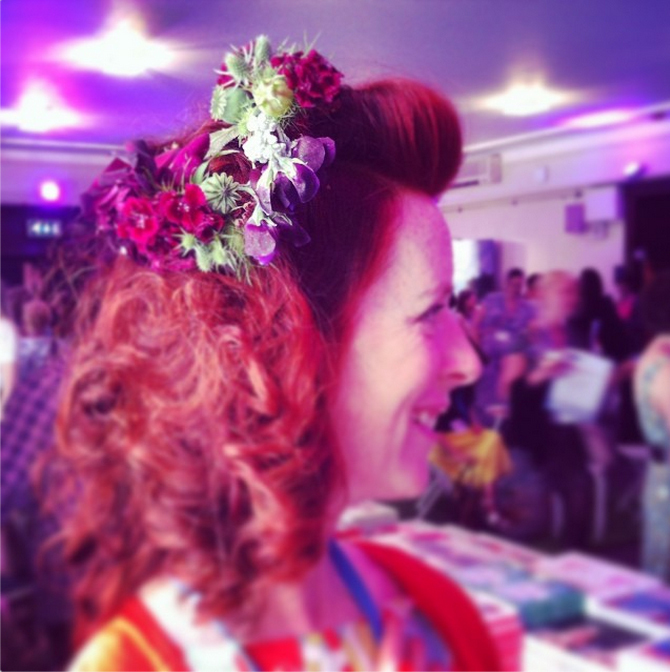 Maggy talked us through some lovely ideas, including leaf bowls whilst wearing a rather attractive leaf crown! More links to follow from Anthea at zingzingtree, thefairyandthefrog, some cute leaf fairies from peaklepie, missielizzie’s decorating pumpkins with leaves and herecomethegirlsblog with their reward chart. Oh, by the way, I’m also on twitter.com/MoreKidsChaos too… Erm, and funnily enough on Google+, Facebook and Pinterest! Pop over to say hello x LIKE IT? Pin it! 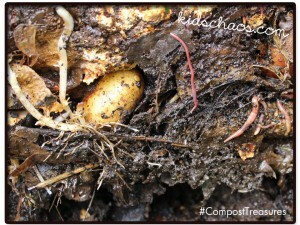 Out in the garden this morning before school, grabbing some compost for the little Papier–mâché seedling pots pictured below. To read more on our gardening adventures click here to see where we got our delicious compost for our seedlings. 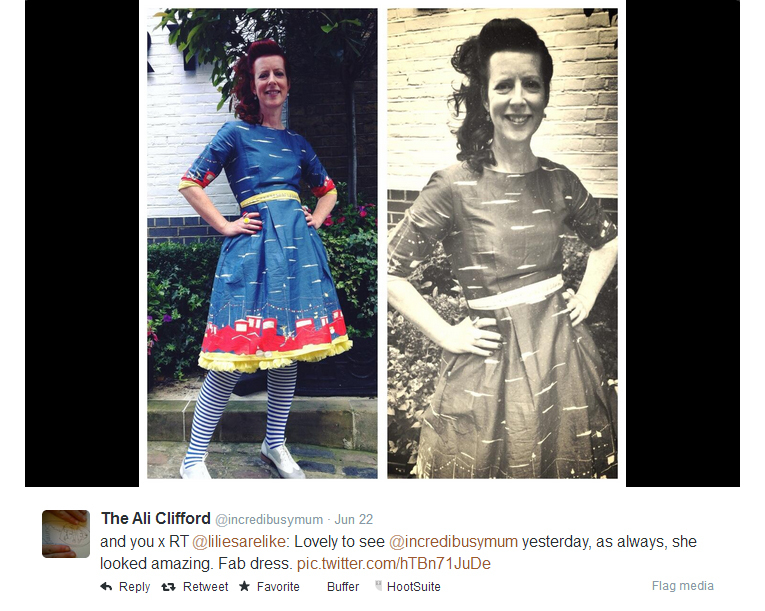 Oh, and I’m on twitter.com/MoreKidsChaos too… Erm, and funnily enough on Facebook and Pinterest! Pop over to say hello x Like it? Pin it!